Bullitt's Winery & Bistro is a locally owned Winery and Italian Restaurant. 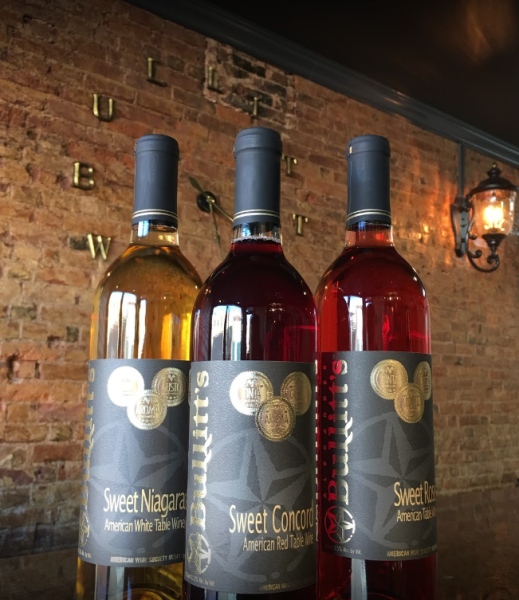 We make multiple varieties of wine and put our unique spin on pizzas, pastas, sandwiches and salads. Open Mon. - Thurs. 12 p.m. - 9 p.m.; Fri. - Sat. 12 p.m. - 10 p.m. Closed Sunday.